One of the unavoidable situations for individuals who have children is facing the Little One as they are throwing a tantrum. A situation that may be experienced by most parents is when the Little One is upset due to their wishes not being fulfilled, for instance when they ask to buy a toy during a visit to the mall. Their anger may manifest in the form of cries or they may even roll over on the floor. Tantrums usually occur when the Little One is feeling tired, hungry, uncomfortable, or when their wishes are not fulfilled. Managing their disappointment or frustration is a personal skill that they should gradually learn. Tantrums are generally observed in children aged one to four years old, the period of time where the language abilities of the Little One begin to develop. However, the Little One may still experience limitations in communication and conveying their wishes to their parents. They may be frustrated due to the difficulty in expressing their intention, along with their parents not understanding or not fulfilling their wishes, leading them to burst into a tantrum. The activities that form a tantrum may vary, and can include crying, screaming, hitting, as well as excessive body movements such as throwing objects and rolling on the floor. Tantrums can still be considered reasonable if it rarely occurs. However, if the Little One often throws a tantrum – or even make it a habit to do so – parents should identify the cause to stop this bad habit. There are a number of causes for tantrums, which include fatigue, hunger, or purely just the desire to express their wishes with all the communication limitations. 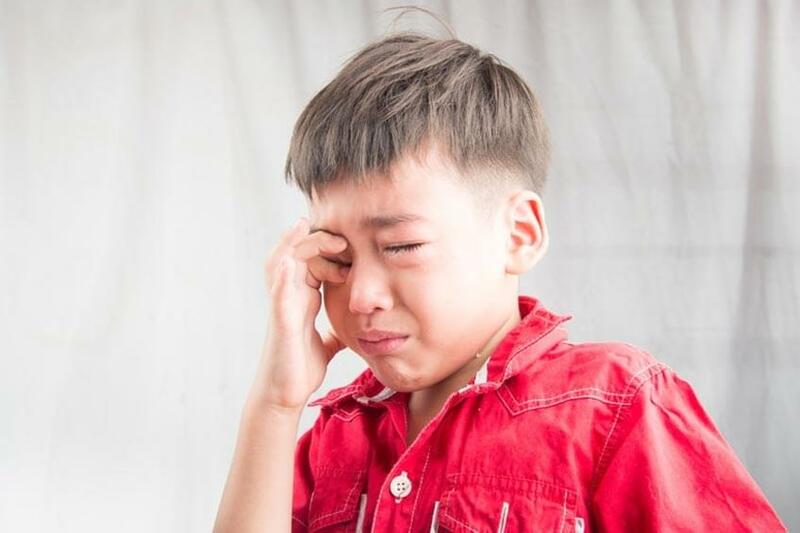 Nevertheless, some children are more prone to throw tantrums, such as those who are more hyperactive, are more susceptible to changes in moods and feelings, or experience difficulties in adapting to the environment. The first thing for parents to do is to calm themselves. Parents should not get emotionally carried away by scolding, or worse, hitting the child. Tell the Little One calmly but firmly that their behaviour is not right. Also explain to them that you will not fulfill their wishes, along with mentioning that it is also for their own good. If the Little One still throws a tantrum, do not fulfill their wishes – even though this means that you will have to drag them away from the shop under those circumstances. If parents do not fulfill their wishes, they will learn that their tantrum is not working, and will no longer repeat it. Although you did not fulfill their wishes, this does not mean that you do not care. Hug them and tell them that this is because you care and only want the best for them.